2016 has been one hell of a year hasn’t it? We’ve lost some of our most-loved legends such as David Bowie, Prince and Alan Rickman and we’ve also faced some of the biggest shake ups in political history. One can only mutter the words Trump and Brexit to cause a divide amongst us all. What has been great this year is music (well to me anyway); we’ve had albums from Beyonce, Drake, Kanye West, Rihanna and they’ve each created controversy in some way or another. I mean did I really wanna see the waxworks in Kanye’s ‘Famous’ video? Did Jay Z cheat on Beyonce? Will we ever stop twerking to Rihanna’s ‘Work’? I came to slay b*tch. I’ve summed up my views on the Lemonade album here and Formation is no doubt an absolute banger. The lyrics, the video, the costume, but of all the message… Let us all dream it, work hard and grind ’til we own it. Cheers to a prosperous 2017. Technically this song was released on December 30th 2015… however who would have thought we would have a liking to Kosovan Reggae and find myself scouring Google for a pink fur-lined parka jacket? I think they’re now gonna be called Fourth Harmony (too soon?) as Camila Cabelo has decided to call it quits this morning… I wonder if the other band members will be working from home for a while until they find a new member? Will they continue on as a quartet? Who knows? Anyway, this was my JAM earlier this year; the beat reminded me of an old school polyphonic ringtone and the lyrics made me want to pack in the office life and set up a desk in my hallway cos apparently ‘I’m the boss at home’. The mannequin challenge was my FAVOURITE thing to see all over social media this year. In a world of dodgy politics, this filled in so much-needed humour in those dark days of November 2016. I went to Vegas back in October and this song, as well as the video makes me miss those bright lights, boozy nights and penthouse heights ever so much. Okay maybe I’m lying about having a penthouse suite, but I did get upgraded to the 54th floor of the Trump hotel… 24K Magic is the perfect song for donning a silk Versace shirt (Or more like George at Asda) and counting down to 2017 in style. I could have added so much more to this list but these are ones that spring to mind for the moment. 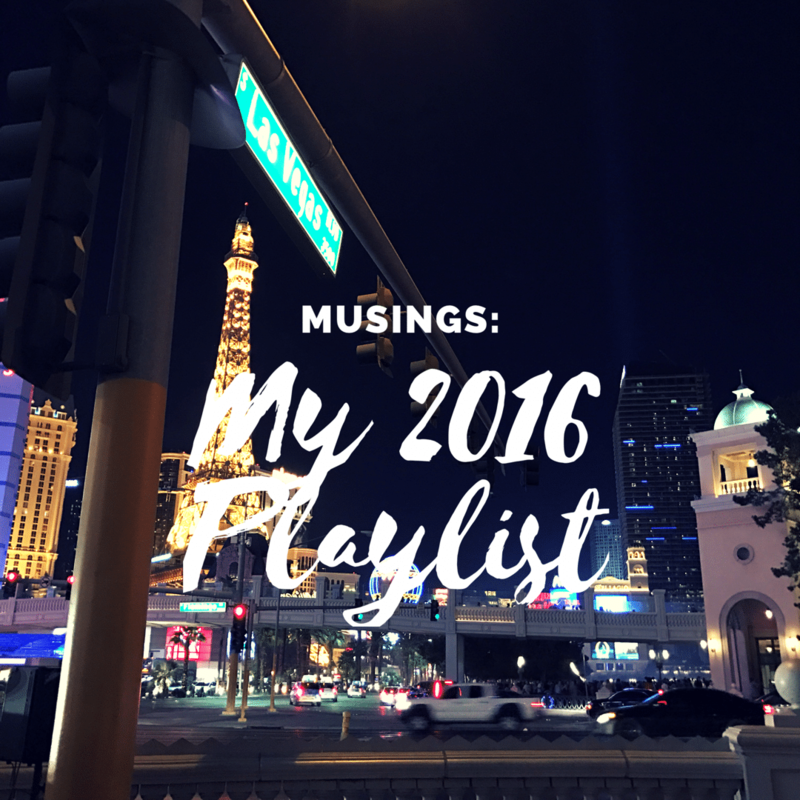 What would go on your soundtrack to 2016? Comment below or Tweet me here! "Memoirs: Newbury Races – Event Roundup"
This is a great playlist!